Jaelynn Willey and Courtlin Arrington both deserve our mourning. On March 7, 2018, a student at Huffman High School in Birmingham, AL, fired a gun, killing a girl and injuring himself. On March 20, 2018, a student at Great Mills High School in Lexington Park, MD, fired a gun, killing a girl and injuring another student. He was killed in the incident. 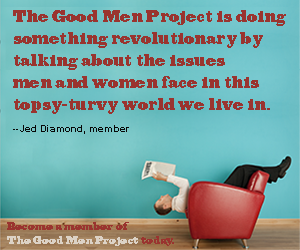 We can, and should, talk about the continued problem of toxic masculinity in our society. But in this article, I want to focus first on the way each of these stories has been handled in the mainstream media. In the first story, a black boy shot and killed Courtlin Arrington (who is also black). The first stories called the shooting an “accident,” and it was only later that the shooter was charged with manslaughter. The stories I find focus on how the school’s metal detectors were turned off, and what the charges against him are. There’s no probing of his motives. There’s little depiction of the victim with any depth of personality. A black girl died. A black boy is in prison. More than two weeks later, CNN can’t even be bothered to update their shooting list, which still says it was an “accident.” Nothing to see here, White America. Move along. In the second story, a white boy shot and killed Jaelynn Willey (who is also white). The first stories focused on the “good guy with a gun,” the school resource officer who shot at him, although it’s unclear how he died. We know that the shooter was “in a relationship” with Willey. We know that Willey was brain-dead and was taken off life-support. We know that the boy acquired his gun from his father. After three days, we have a complex narrative. A “lovesick teenager,” a heroic “good guy with a gun,” a family’s tragic decision about their daughter, a reckless father. The photo being used in stories on the white shooter has a smile. The photo being used in stories on the black shooter is emotionless. In between these two shootings, a white man terrorized Austin, Texas, using bombs. The two men who died were both black. Police aren’t sure what the motive is, and hesitate to call it terrorism even if there’s later evidence that it was racially motivated. And the photos being circulated consistently show the bomber with a wide, friendly smile. This is not an anomaly, it’s a pattern. White criminals are given tender narratives, while black criminals are depicted as one-dimensional thugs. Even worse, though, black victims are also given much less consideration. Who was Courtlin Arrington? What were her dreams? What did she want to do with her life? These details aren’t completely missing: She had been accepted to nursing college for the next school year. Essence provides a nice profile of Arrington. Babe calls the mainstream media out for largely ignoring this death. But most of the articles I’m finding are from a single source, AL.com. Also between these two shootings, a black man named Stephon Clark was shot dead by police who thought his cell phone was a gun. How much does White America care about addressing the implicit bias of police? Right now, white Americans are helping to make Black Panther one of the most successful movies of all time; as of March 25, its domestic gross is $631 million, #5 overall and #1 among superhero movies. That’s largely from black viewers, but white viewers are contributing. Meanwhile, in the real world, where real black people are dying in violent acts, white Americans don’t care nearly as much. Black people on our movie screens? Exciting! Dead black teenage girls? Eh. Nothing to see here. Move along. The persistent double standard is infuriating and shameful. The school shootings are parallel stories, but the treatment of each by the mainstream media has been much different. What happened to Jaelynn Willey is tragic. Her family and friends deserve every ounce of love and support they get. What happened to Courtlin Arrington is equally tragic. So why don’t we white people care more? Writer’s note: The shooters and bomber are deliberately not named in this article.